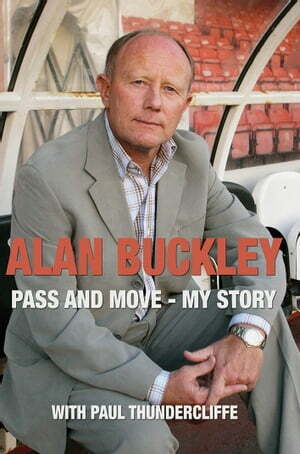 Collins Booksellers - Alan Buckley: Pass and Move by Alan Buckley, 9781783068487. Buy this book online. Alan Buckley has managed five football clubs over four decades and more than 1000 matches, putting him amongst the elite in the game. Alan Buckley: Pass and Move – My Story reveals his entire story, including the beginning of his career at Nottingham Forest, goal scoring records and hero-worship at Walsall, transforming Grimsby Town in three spells along with less happy times at West Brom. The book takes the reader through Alan’s adventures at Arsenal and Liverpool, and triumphs at Wembley along with managing a club in administration. There are many highs and many lows as he takes you on an absorbing journey through his life. Frank, funny and evocative, Pass and Move is filled with tales about the great and the good as Alan takes you on a journey through his 45 years of professional football, with all of the many highs and lows that it has brought. Alan is regarded as Walsall’s greatest player, and Grimsby fans know he is the greatest manager in the club’s history. Paul Thundercliffe was inspired by The Damned United by David Peace, and Pass and Move is a fantastic read for supporters of Walsall and Grimsby, or any fans of Alan Buckley.